The VersaLink C505 is designed for fast-paced businesses. 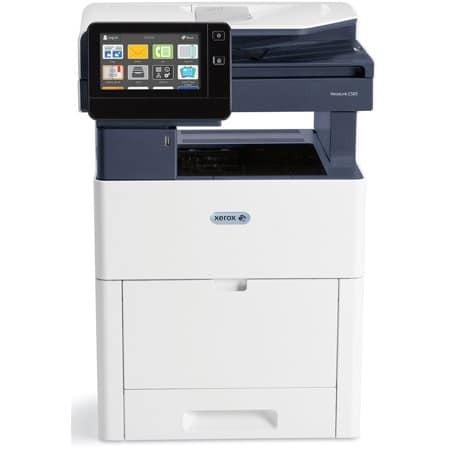 The Xerox VersaLink C505 Color Copier has a high level of reliable performance. The features that the Xerox Versalink provides are that it is Cloud-connected, mobile ready, app-enabled, and easy to customize. The Xerox VersaLink C505 is available for you to use as an assistant to stay on top of all of your office needs. This Color Copier is completely re-designed so that it’s more reliable than ever! It features a new hardware design with fewer moving parts, and a more advanced Hi-Q LED print head. If you have files that are critical, the Xerox VersaLink C505 has more security features than before to keep all of your data secure. Count on superior print quality to make your work look its best with a print resolution of up to 1200 x 2400 dpi to deliver sharp text and fine line detail, plus exceptional color vibrancy. Very little set up required with this Xerox Color Printer. Right out of the box, you’ll count on your C505 to consistently and flawlessly perform the tasks that make your business work more efficiently. There are free installation wizards, step-by-step configuration options, to get you ready to go with no trouble at all for setting it up.